When the topic of discussion turns to legacy alt-country bands, it’s easy for the Old 97’s to get left out of the mix, and unfairly so. Since their epicenter revolves around Dallas, and not Austin, Nashville, or Los Angeles, it seems like they’re always a little more out-of-sight, out-of-mind than their mammoth output and legacy deserves. Here’s a band who recorded songs with Waylon Jennings in 1996 during the waning of his life, and signed with Bloodshot Records even before Ryan Adams and Whiskeytown. Only Uncle Tupelo and a few select others predate the Old 97’s as one of the true founders of the alt-country sound. But unlike much of the rest of what once was considered alt-country, the Old 97’s haven’t shifted into the more genteel and gentrified sound of “Americana.” As evidenced on their new 2017 release Graveyard Whistling, they’re still shifting gears between twang and rock, still underpinning certain songs with a hard-driving beat indicative of another Dallas roots icon, The Reverend Horton Heat, and still writing great songs that make you think in moments, but don’t wreck a good time. It’s all under the direction of frontman and primary songwriter Rhett Miller, who more than just the leader of the Old 97’s, is an important figure in the Dallas music universe, and acts as a nexus between multiple “scenes” of roots music, working the rock angle one moment, and going on acoustic tours with Evan Felker of the Turnpike Troubadours the next. Miller has been a mentor of the music and takes his place in music seriously, while never allowing his ego to get ahead of his output. 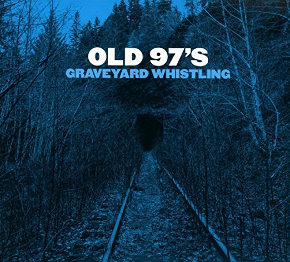 Graveyard Whistling is just about what you would expect from the Old 97’s, in a good way. For those bred in the roots scene from more recent sounds emanating from east Nashville that are a little more neotraditional or Muscle Shoals in nature, the Old 97’s might sound a little dated because the band’s germination point was the mid 90’s. But for those Gen X’ers still holding onto some of that angst, it’s sounds about right when the kiddos are in bed, and you want to crank some tunes. The opening song “I Don’t Want To Die In This Town” sounds like something you might hear on any of the dozen or so Old 97’s records released over the last 23 years, with a hard charging beat, and a depressed perspective. But the very next song “Bad Luck Charm” offers a brighter, twangier tone, even if no more of a positive outlook. And by the time you get to the well-written “All Who Wander,” the opening sounds like downright honky tonk before serving a new twist on a Tolkien maxim. The most distinct taste of Graveyard Whistling comes via the album’s single, “Good With God,” composed with lyrical contributions from Brandi Carlile, who happens to share the same label home with the Old 97’s these days, ATO Records. Once again the faster, almost punk-style train beat makes the biggest impression, as do the lyrics that seem to steer close to sacrilege, without ever barrelling right into it, similar to another song on the record, “Jesus Loves You.” Again, these themes are a little more indicative of the religious re-education of the 90’s than the politically-tinged material of today, but this is the type of stuff Old 97’s devotees expect. The latter half of Graveyard Whistling is where the inspiration in the songwriting perhaps starts to give out a little bit, but it also might be the most fun portion of the record, with the libatious “Irish Whiskey Pretty Girls” and “Drinkin’ Again” helping to round out the set. The Old 97’s certainly haven’t adopted any 12-step programs compared to some of their more settled alt-country brethren. The final song of the record, the reminiscent “Those Were The Days,” might be one of the funnest of them all, and ends the record on a more upbeat note. 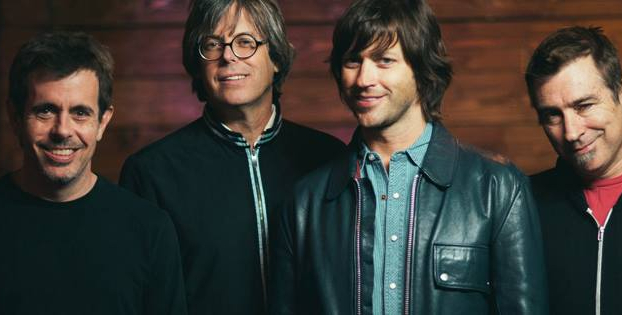 The Old 97’s are what they are, and still remain so, which is an influential and often overlooked alt-country band who gets your bobbing your head, and not feeling self-conscious about it. They’re never going to be the darlings of Americana like they once were for alt-country, but they’re still providing a very necessary sound fusing country, folk, and rock, and Rhett Miller deserves equal billing right beside Ryan Adams, Jeff Tweedy, and Jay Farrar as founders of one of country music’s most important and influential subgenres. I’ve always loved these guys. Great songs, musicians and Rhett Miller is a great frontman. I’d take Rhett Miiller over Ryan Adams any day. His solo stuff is good too. They have pretty much stuck to their alt-country sound which is probably a little too rock for some. As for this album, I like it. Not as good as some of their best but better than their last “Most Messed Up” which I didn’t really care for very much. . So glad to have these guys active and still creating and performing. Would LOVE to see the show they’re doing with Turnpike, Randy Rogers and Charley Crockett at Red Rocks next summer. That’ll be one for the ages with lots of stomping and hollering. I’ll never forget hearing them play a media event the week of the last Super Bowl in Dallas. They blasted out “State of Texas” and R.E.M.’s “Driver 8” among others to a largely disinterested audience of sports media dorks from around the country. I was at the foot of the stage going nuts, and looking around like DON’T YOU MORONS KNOW WHAT YOU’RE MISSING?!? Love this album and the old 97s! Good review Trig. Have you considered reviewing Kyle Fields “Hillbilly Poetry”? Saw it made it to #17 on the country album charts yesterday. Good stuff, check it out! Living in KC, they are one of the few American/Alt-Country acts that come to my neck of the woods every year. I love them them for that. I I love their old-school diy punk ethos, which is now standard for my favorite artists. I.e., Isbell, Sturgill, Reckless Kelly…. Seeing these guy several times over the years, I’m always impressed by their consistency. From their 110% effort every night to their sound and game always being spot on. You are correct. Rhett and company don’t get enough credit. But they aren’t asking for it either. Which is another reason to love and respect the hell out of them. They just keep putting out great music and playing great live shows year after year. I’m in KC too and I think we’re finally getting lots of momentum with alt country and some lesser known yet quality country acts. 10 years ago not the case but great venues like Knuckleheads are doing their part. Another Kansas Citian here as well. Knuckleheads is getting a lot of good acts. Isbell comes through town quite a bit. I’m interested to see how the new venue downtown, The Truman, does. It’s supposed to be a “in between” venue for acts not big enough for Uptown, the Midland, Starlight, etc, but too big for the Riot Room et al. So far they’ve stayed away from the Americana scene, but the Drive-By Truckers are playing there in January. I loved this album! Good on you for highlighting it here, so many great songs on there. Just an incredible live band and Rhett Miller’s lyrics are better than we sometimes deserve. Plus they’ve always remained nice guys. Fight Songs & Too Far To Care vinyl will be thrown in my casket. Greatest band in the world. The perfect mix of Johnny Cash, the early Beatles, The Replacements and The Clash. Hey Trigger, I’d like to see you do an album review over Teea Goans’ “Swing Shuffle and Sway” album! She’s a great new traditionalist! I’d like to see promotion in her music her as well! I like the Old ’97s and have some of their CD’s in my collection. In my view, the term “Alt” is interesting because the Alt-Country acts seem far more respectful of the country music idiom than today’s mainstream pseudo-country (i.e., more like pop) artists. Love the 97s. They were in Austin and St. Louis this year which was a real treat. Thanks for the reminder that I need to add this to my collection.